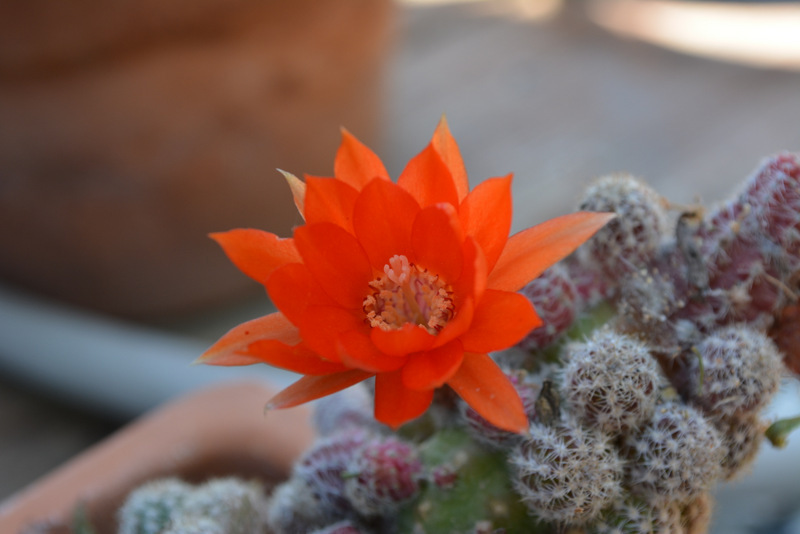 The most striking flower on a miniature cactus in my garden. It only blooms once a year for a few days. The flower opens in full sun and closes in the evening. And today I was lucky to catch a glimpse of this beauty in its full splendor... and until next year.